Yesterday, the IPOB leader said he has instructed his members to kill former President Olusegun Obasanjo and his lineage if anything happens to him. He said this in reaction to Obasanjo’s call for Nigerians to stop Kanu from causing another civil war. 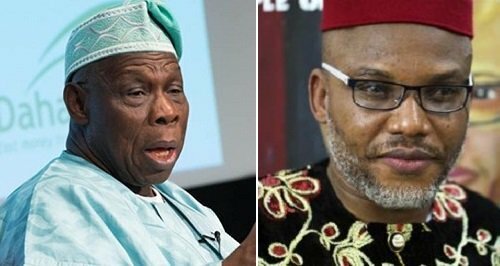 Hey Buddy!, I found this information for you: "Watch Video Of Nnamdi Kanu Threatening To Kill Ex – president Obasanjo". Here is the website link: https://360kwado.com/watch-video-of-nnamdi-kanu-threatening/. Thank you.